Is This The Most Luxurious SUV Ever? Mercedes Benz have unveiled their most luxurious SUV ever, which looks set to rival Rolls Royce and Bentley in the premium car stakes. The Vision Mercedes-Maybach Ultimate Luxury was unveiled at the Beijing Motor Show on Tuesday, along with a press release which promised a car to live up to the name. The Vision Mercedes-Maybach Ultimate Luxury is a totally new archetype of a kind never seen before," says Gorden Wagener, Chief Design Officer at Daimler AG. "Our concept combines the DNA of an SUV with that of a saloon to produce an ultra-modern SUV of three-box design," says Wagener. "With sensuality and pure sophistication, we have created a timeless vehicle that underscores the position of Mercedes-Maybach as the ultimate luxury brand." With the trend for souped-up SUVs showing no signs of abating, the arms race between the world’s premium manufacturers is heightening, both Bentley and Lamborghini have used motor shows in 2018 to unveil high-end vehicles, and Rolls Royce and even Ferrari are set to follow. We’ve seen a number of Mercedes-Maybach concept vehicles teased in recent months, but this is the real deal. A top speed of 155mph will be accompanied by a driving range in the region of 311, though drivers won’t have to wait too long to recharge, an additional 100 miles can be achieved by plugging the power supply in for just five minutes. The eagerly awaited Rolls Royce Cullinan is expected to set the benchmark, extreme luxury coming as standard for the classic premium brand, but there’s plenty of space in the market and with the Chinese market expected to be an important factor, it’s no surprise to see Mercedes launch in Beijing. 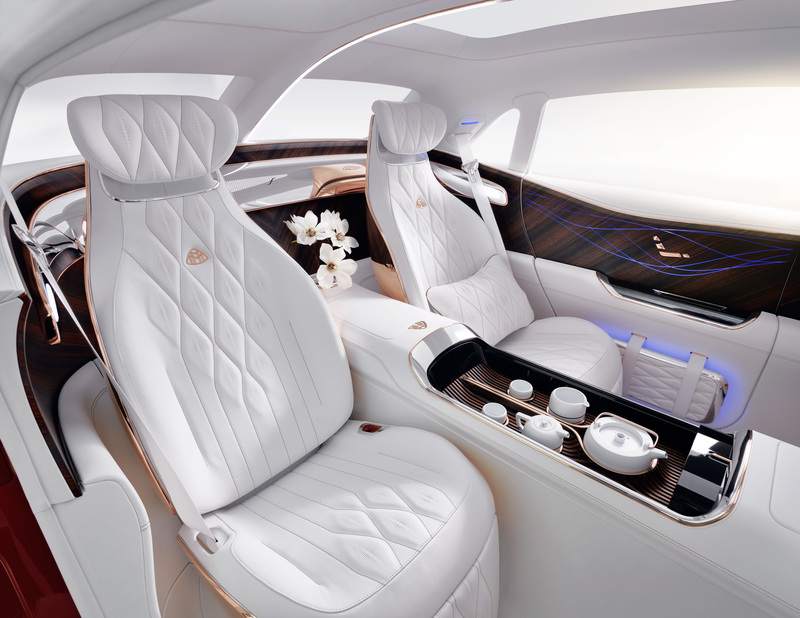 Imagery released of the Maybach’s interior suggest that the passengers will receive five-star travel and the ultimate in comfort, akin to the best in business class of a top-notch airline. Motordepot has a number of high-end Mercedes options. Check out our range online today.